A recording of 2018 MOMkult surround gig, released on occasion of the March 2019 surround tour in CD+DVD box-set format. 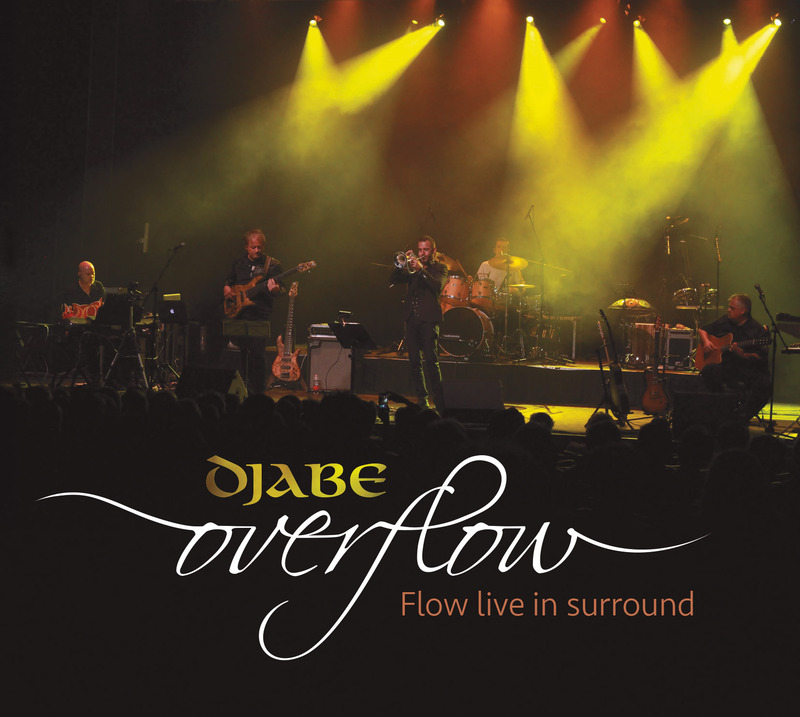 Djabe is known to do a surround gig series every 2 or 3 years, events followed closely by both fans and critics. The aforementioned gig was the first surround show of the 2016 line-up. The main occasion was the new studio album of 2018, Flow. Djabe performed the whole 1-hour material on stage. In the remaining time, the band played with guest musician Gulli Briem (drummer, member of Mezzoforte) some Djabe pieces they perform together regularly, for example This Is Not America and Buzzy Island from the album Life Is A Journey – The Sardinia Tapes. The DVD contains the whole concert in surround mix. The CD sports all compositions from Flow, and more pieces featuring Gulli Briem. This elegant paper digipak is worthy of the astonishing concert. It can be said it is not only candy for the ears but for the eyes, too.